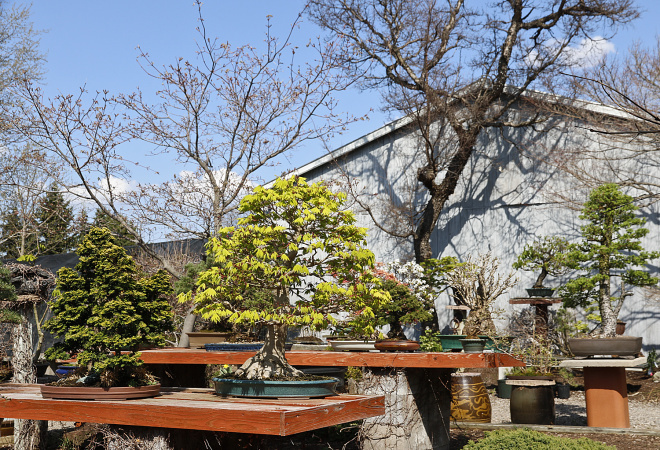 Spring is my favorite time of the year, and also the busiest especially if you have many deciduous bonsai. 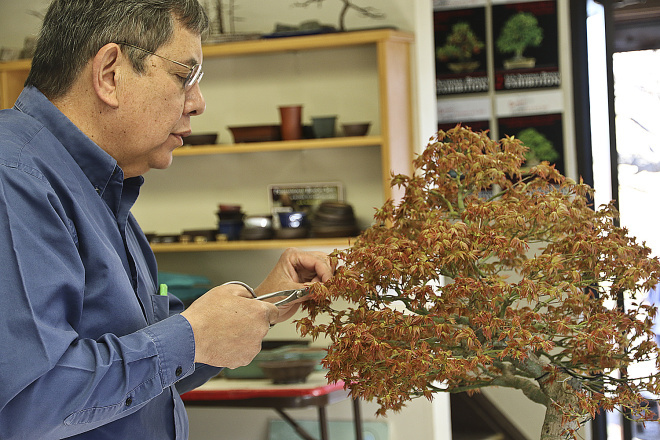 In addition to transplanting and shaping emerging buds of developed bonsai must be pinched. 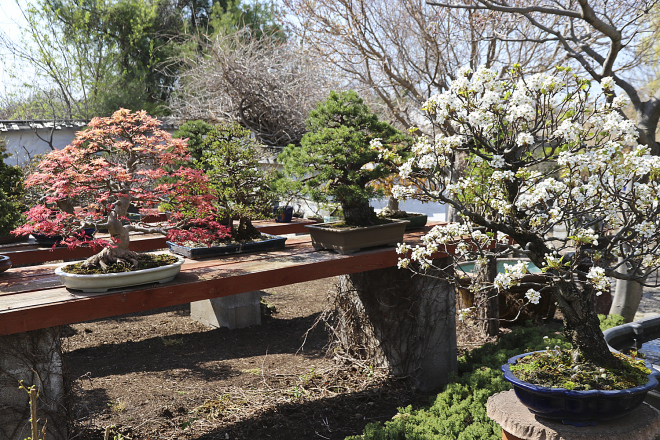 This requires pinching many times over several days because the buds do not open at the same time on each bonsai. All of this work can not be done alone. 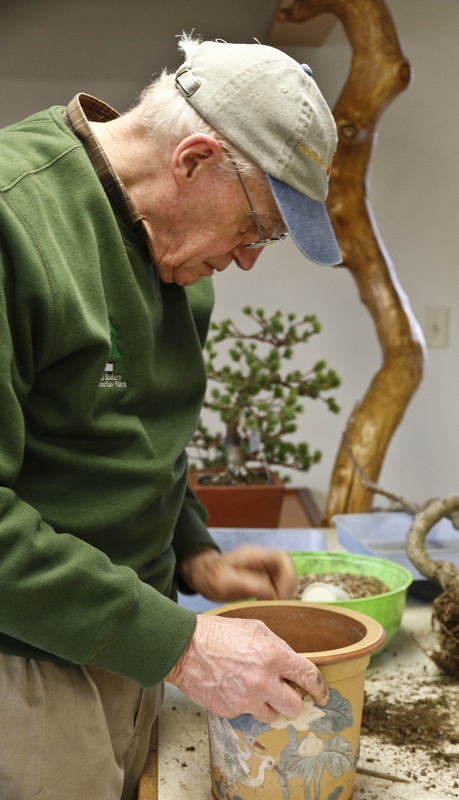 I’m fortunate to have many good friends who volunteer to help me create and maintain bonsai as well as preparing for classes and in the garden as well. My “Monday Senior Crew” came many more days during the week this spring. Each Monday there are eight of us transplanting, pinching, wiring, pruning as well as cleaning up. 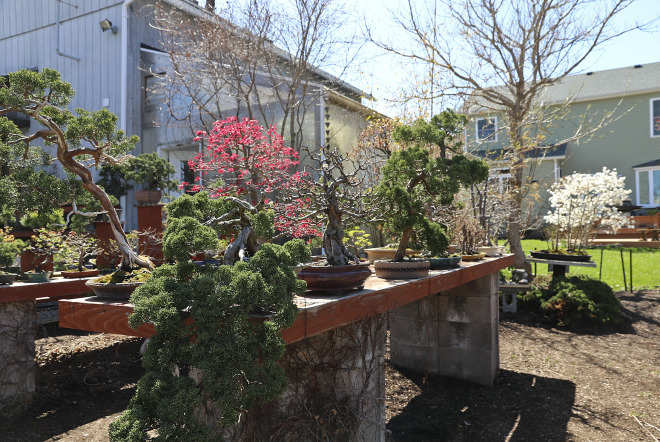 Because of their dedication and hard work my bonsai and garden look pretty good now.